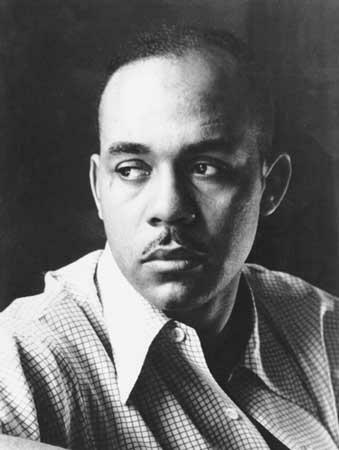 UPDATE: The Ralph Ellison Centennial Gala is Feb. 8 at the Oklahoma History Center. KGOU's Kurt Gwartney talks with state Sen. David Holt and Ralph Ellison literary executor John Callahan. John Callahan discusses Ralph Ellison's literary heritage and connection to Oklahoma (recorded Oct. 9 at Oklahoma City University). Portraits hanging on the walls of the state Capitol building provide a glimpse of the people who helped make Oklahoma what it is today. You can see Will Rogers, Wiley Post, Robert S. Kerr, Carl Albert, Woody Guthrie and Angie Debo. But Ralph Ellison, one of Oklahoma’s most famous writers, is not honored in this way, and that is about to change. From his early days in Oklahoma City’s Deep Deuce neighborhood, to his time at Tuskegee and life in New York City, Ellison never forgot his Oklahoma home. John Callahan is the literary executor of the author’s estate, and was a close friend. 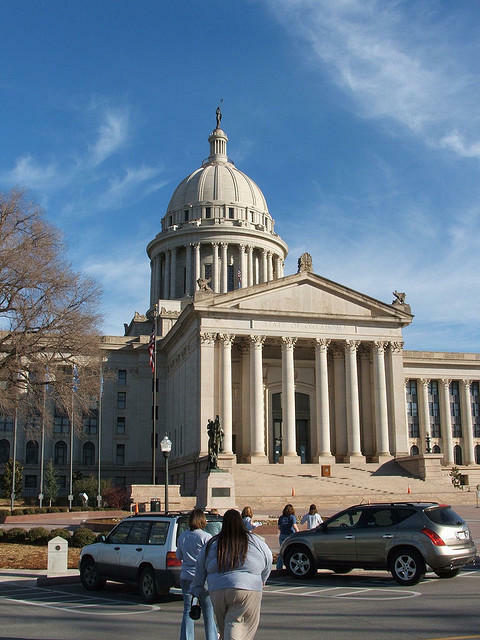 The “possibility” of Oklahoma is also something state Sen. David Holt (R-Oklahoma City) believes in, and it was while going to college on the east coast that he discovered his hometown’s famous author. Now, Holt is leading an effort to honor Ellison with a portrait in the state Capitol. The Capitol Preservation Commission is expected to approve a preliminary design of the portrait by artist Tracey Harris during its meeting Thursday. Holt says while there are many great African-American leaders in Oklahoma’s history, Ralph Ellison has been overlooked. “I find that really surprising because in my view, Ralph Ellison is one of the top five or ten most notable Oklahomans, period,” says Holt. While Ellison’s landmark novel Invisible Man does not directly address the author’s home state, Callahan says the writing is steeped in the idea of the territory and what it represents. Ellison’s childhood in Deep Deuce helped create a sense of how the world could be, despite the way it was. Callahan says Ellison’s father was interested in public affairs and literature, and even though his father died when he was three years old, the integrated home he grew up in had a long lasting influence on his life. Holt says honoring someone like Ellison is way to demonstrate to Oklahomans that international cultural influence does not just belong to the two coasts. “There is no real limit on your future if you’re born in Oklahoma,” Holt says. The group, Friends of the Capitol, is still accepting donations to help pay for the portrait and its placement in the building. Holt says the goal is to have Ellison’s portrait unveiled this spring, capping the centennial celebration of his life. KGOU relies on voluntary contributions from readers and listeners to further its mission of public service with arts and culture reporting for Oklahoma and beyond. To contribute to our efforts, make your donation online, or contact our Membership department. The renovated commission responsible for overseeing, among other things, State Capitol repairs should soon begin its work.